Our caring and experienced staff are skilled music educators and workshop leaders. Matt is accompanist and assistant director of choirs at Harding High School in Marion, OH. Matt is a graduate of The Ohio State University with degrees in music education and in vocal performance. He also completed a BA in Spanish from Muskingum University. Matt was a staff member for the Ohio Farm Bureau’s summer conferences for three summers, and also spent five summers on staff for Muskingum’s Music Theatre Camp. A graduate of Otterbein University in Westerville, OH, Josh received a music education degree in the fall of 2016. He is currently pursuing master's degree in choral conducting at Bowling Green State University. In addition to his studies, Josh holds a choral assistantship, working with four of the University's five auditioned choral ensembles. 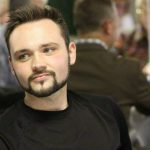 Most recently, he was the recipient of the Samuel P. Szor Conducting Fellowship which allows him to serve as the assistant director for the Toledo Choral Society. After graduating from Otterbein, Josh taught general music and choir in grades K-8 at Central College Christian Academy in Westerville. 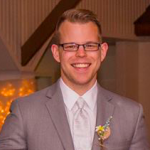 Josh hopes to return to teaching and continue working in church music ministry upon completing his master's degree. 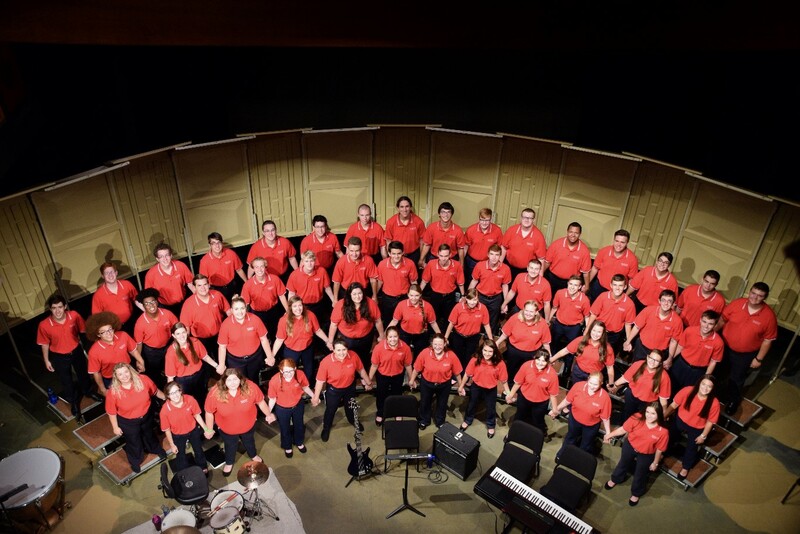 Haley is the director of choral activities at Ridgewood High School in West Lafayette, Ohio. She attended Capital University and received a degree in vocal and instrumental music education. Haley served as music director for Ohio Farm Bureau’s summer conferences for four summers. 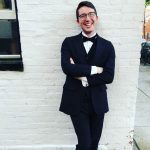 Peter has been the choral director at Lakewood High School in Lakewood, Ohio since 2012, where he has directed four curricular and three extra-curricular choirs, taught class piano, and assisted with the school musical. He is currently on a leave-of-absence pursuing a master's degree in Choral Conducting from Boston University. Peter has performed with the professional choral ensembles Cantores Cleveland, Quire Cleveland, and the Cleveland Chamber Choir. He holds a Bachelor in Music Education from Otterbein University, where he sang under the direction of Dr. Gayle Walker. Caroline is a staff accompanist at Muskingum University. She also accompanies several of the youth choirs at Coshocton’s Presbyterian church. She has a degree in music education from The Ohio State University and has completed further graduate work at Muskingum University. Caroline was a counselor at Judson Hills Baptist Camp for four summers and Camp Birch for one summer. 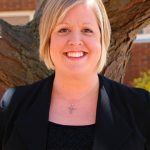 Erin is the director of Christian education at The Presbyterian Church, Coshocton. She received a degree in music education from Muskingum University. She provides administrative support to Mr. Snyder throughout the year with The Cardinal Chorale, and several other ensembles. Erin spent a summer on staff of Muskingum’s Music Theatre Camp. Ryan has recently graduated from Ohio University with a Bachelors of Science in Communication. He studied Information Telecommunication Systems at Ohio University. He is a 2014 Graduate of Ottoville High school, and is from Ottoville, OH. Ryan is responsible for overseeing all IT operations of The Cardinal Chorale. He also has served as an intern for Nationwide during the summers of 2017 and 2018. In his free time, he enjoys programming, website development, and consulting for various businesses. He also enjoys spending time with his friends, and teaching IT concepts to people. This fall, Ryan will be pursuing a Masters Degree in Communication from Ohio University. Ann is a native of Coshocton, OH and a graduate of The Ohio State University. She is a retired high school chemistry and physics teacher from Coshocton High School. After retirement she joined a senior ladies' line dancing troupe. She is the accompanist for Mr. Snyder's young singers at the Presbyterian Church in Coshocton. Ann has been married 43 years to her husband, John. She has one married son, one dog, and one grandog. Josh is the director of choirs grades 6-12 for Springfield Local Schools in New Middletown, OH. He received his degree in music education from The Ohio State University. While at OSU, Josh spent 5 years in the Marching Band. 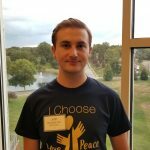 Josh has been an Ohio West Hugh O’Brien Youth Leadership (HOBY) staff member for the past eleven years, working with high school sophomores from all across northwest Ohio. Jennifer is a former middle school and high school choral director, and has been a School Choral Music Specialist with Stanton’s Sheet Music in Columbus for over ten years. She holds a bachelor's degree of music education from Baldwin-Wallace College Conservatory of Music. An active choral singer and accompanist throughout the Central Ohio area, Jen is also the soprano section leader and assistant conductor of the Coshocton Community Choir. In her free time she enjoys good food, running and yoga (to counteract the good food...), and the Muppets. Beth is the director of choral activities at Bowling Green Jr. High & High schools. She has a bachelor’s degree in music education from Bowling Green State University and a master’s degree in teaching from Marygrove College. She spent four summers as a counselor – in – training for 4-H Camp Palmer & five years as music director for the Ohio Farm Bureau Summer Conferences. With both choral & instrumental music in her background, she has also been a trumpet instructor at band camp, and assistant band director at Arcadia High School. James is the vocal music teacher at Wauseon Exempted Village Schools, teaching choirs in middle school and high school. He previously taught for 16 years at Van Buren Local Schools. He earned a bachelor’s degree in music with a choral emphasis from Bowling Green State University, studying with R.D Mathey, Dr. Mark Munson, and Christopher Scholl, and a masters degree in education from Marygrove College. 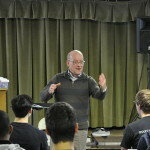 James has served as dean of men at the Defiance District, United Methodist Church Summer Institute, numerous roles with the Ohio Choral Directors Association and the Ohio Music Education Association, and currently serves as the Creative Events Chair of the Adjudicated Events Committee of OMEA. Zach, a paramedic, works for the Delaware Country Division EMS where he is the station lieutenant. 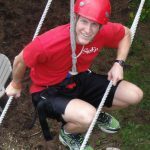 He earned his undergraduate degree in fire science and emergency medicine from Hocking College where he now serves on the adjunct faculty. Zach has also been on staff for the Ohio Youth Fire and EMS Training. Austin is a student at Muskingum University finishing his final year pursuing degrees in Music Education and Religion. Austin has served as bass section leader for Muskingum's Concert Choir. As a part of Concert Choir, Austin has sung for international audiences in Germany, Prague, England, and Scotland. John is a small business owner from West Lafayette, Ohio. He has toured with The Cardinal Chorale twice, he was a four year member of the Coshocton Youth Chorale, and a two year member of the Coshocton Community Choir. 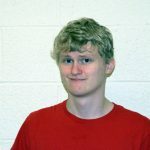 He is an Eagle Scout and has been leading service projects in is community for multiple years. Sarah Kittner is a third-year student at Bowling Green State University. She sang in Cardinal Chorale for four years before taking on the opportunity to serve as a staff intern this summer. She serves in a servant leadership cohort and on campus she has sung with Voices at BGSU, a student-led gospel choir, and in the university's women's chorus.